Okay, so these shoes aren’t really retro but the print of these Melissa Peace Wedges is reminiscent of a past era and the tassel detailing just adds to that, it’s more a 70’s feel but then the shoes are plastic so they have a very modern effect as well and overall I thought they were okay with the dress. There’s some blue in the print (which helps) and basically, I just really wanted to wear them ever since I bought them. 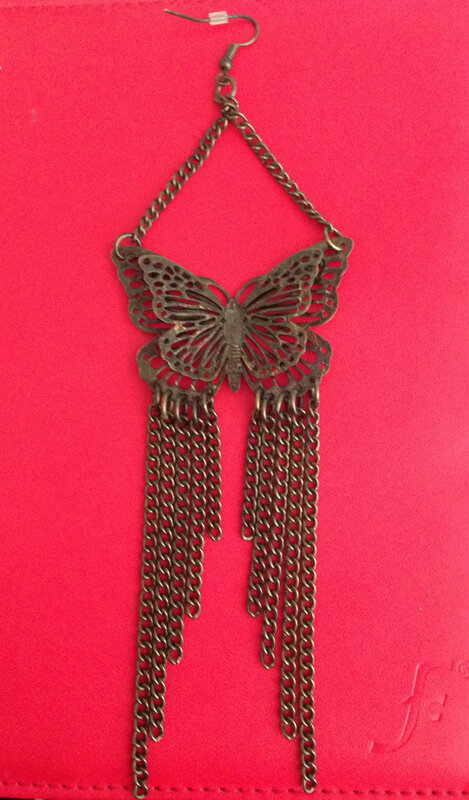 I wore huge dangly butterfly chain earrings (which you can’t really see in the outfit photo so I took a quick photo of one of them). The are really pretty and luckily aren’t too heavy either. 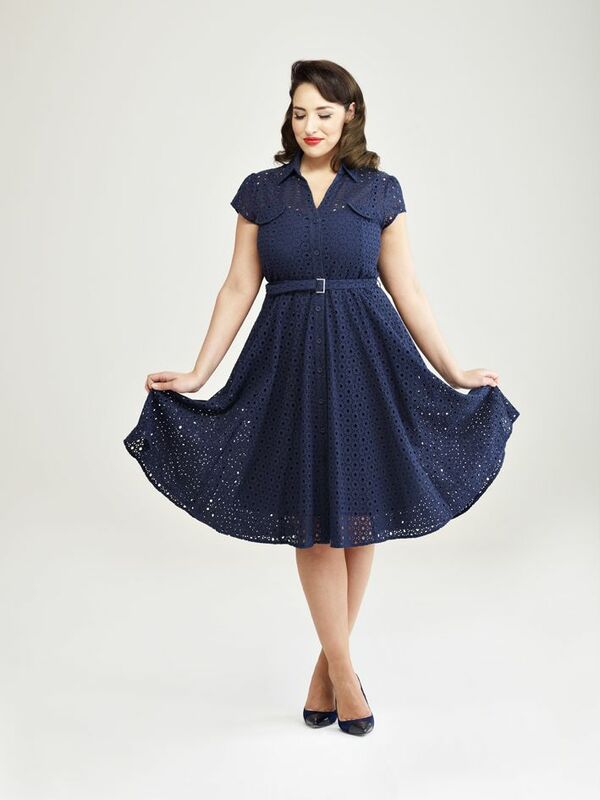 It’s from Debenhams (their 2013 summer collection) and it’s a navy blue eyelet lace dress. I’ve worn it once before (last summer to a friend’s wedding) and it’s a really nice, high quality, summer dress. It has a navy blue slip underneath because otherwise it would be rather see-through. I think the model looks especially lovely in it. I don’t have any photos from the wedding where you could see the dress in any good detail, so I won’t be posting any. 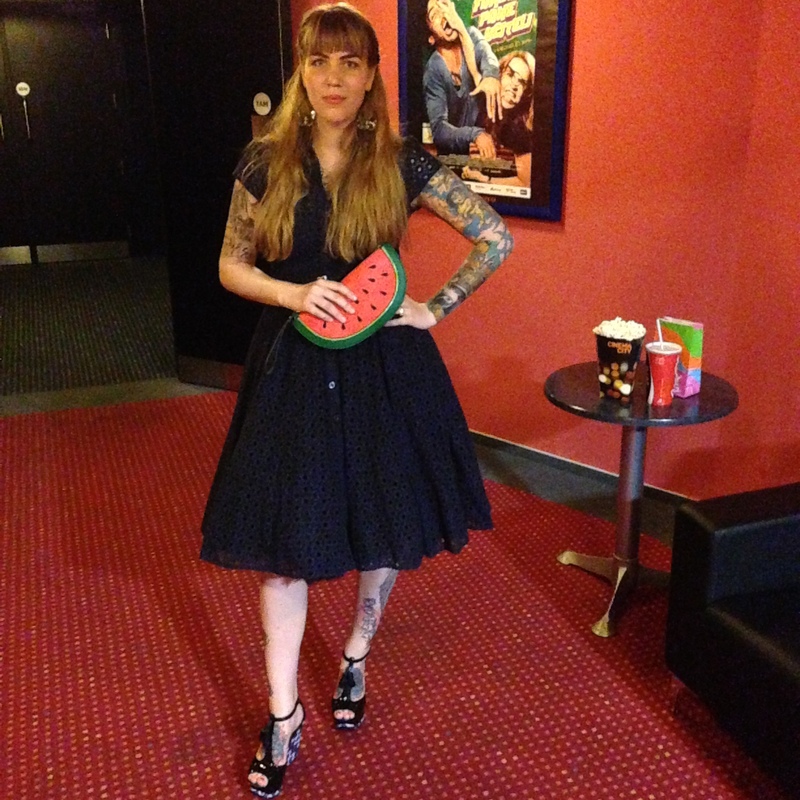 I’ll just add one more photo from our movie date because it is so strange! 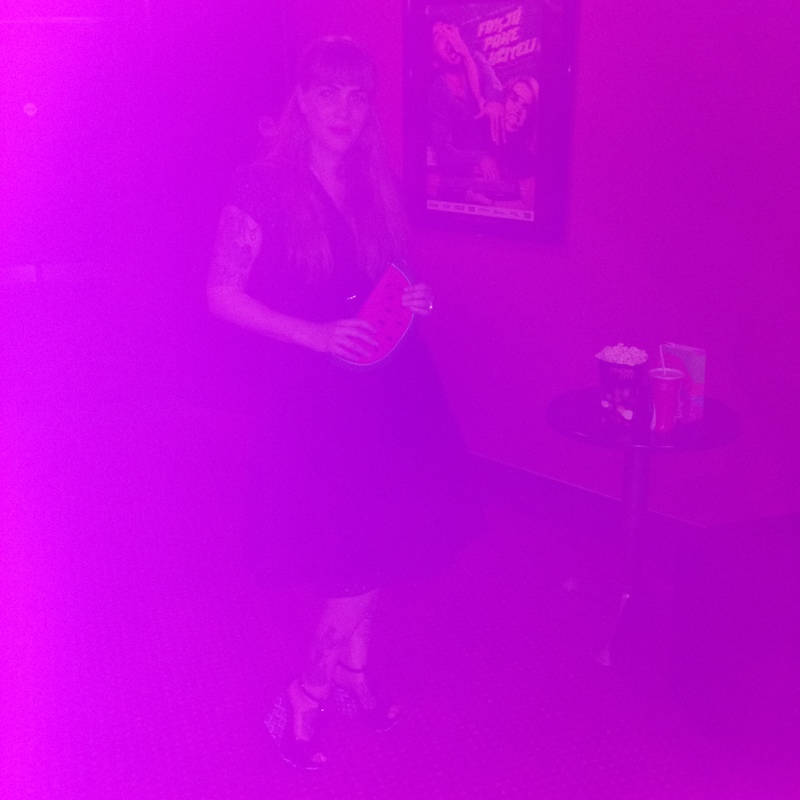 Taking photos in a dark theater entrance, I asked M to use the flash and this was the result. It’s a purple world. Ha brilliant photo at the end! Loooove this dress on you, just gorgeous and I think the clutch looks great with it. Thanks 🙂 I thought it was a really funny photo especially since it happened on its own. Thanks 🙂 It’s my current go-to bag. Loving that clutch and the dress is gorgeous.